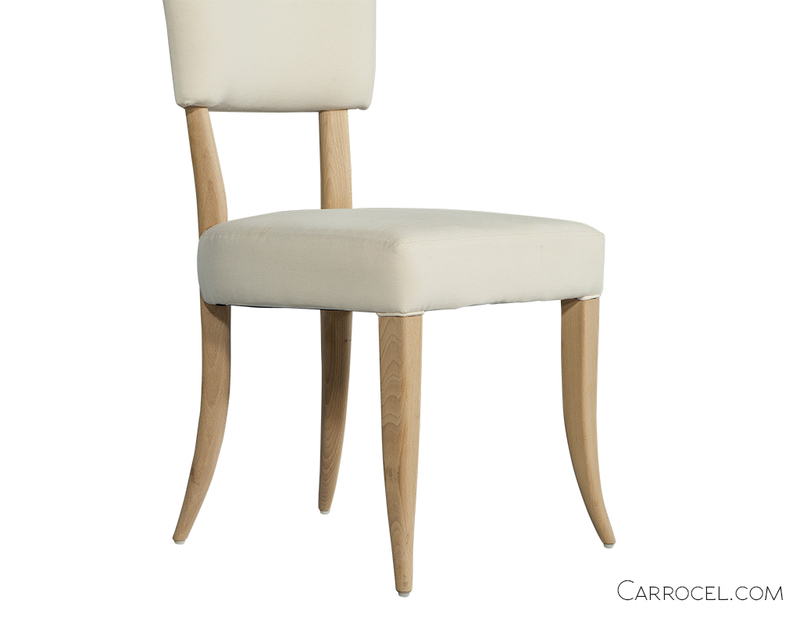 A UNIQUE frame defines this chair with elegant soft curves extending through long heavily tapered, horn like legs. 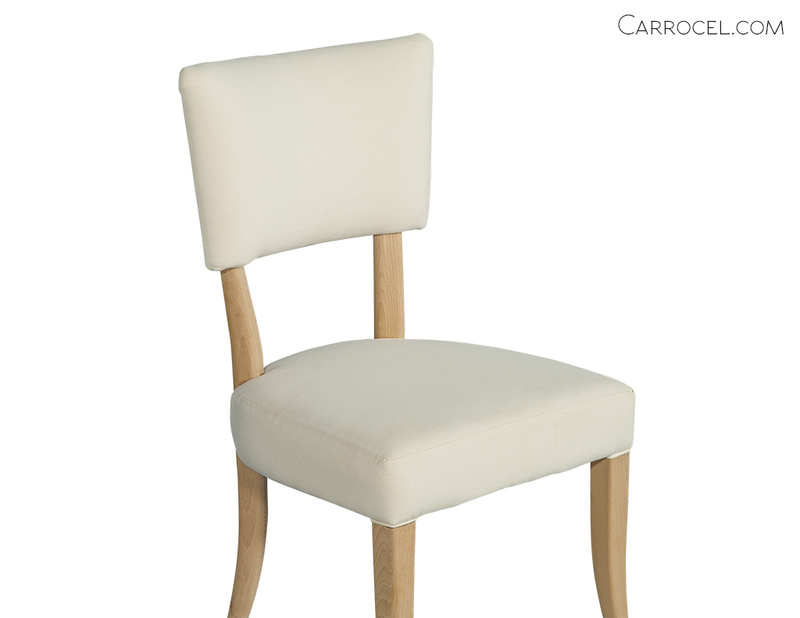 Combined with a half back, the open space allows clear sight lines to your table pedestal. 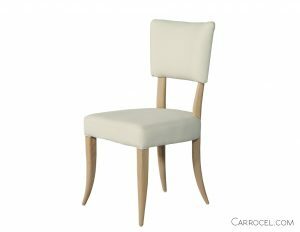 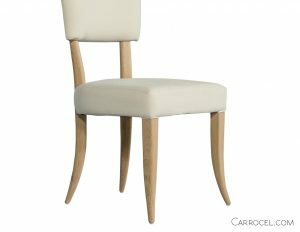 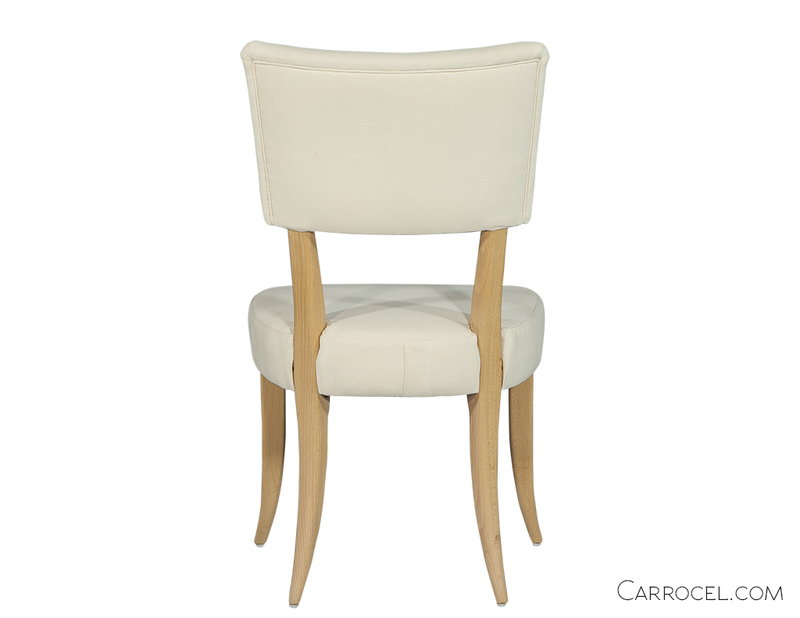 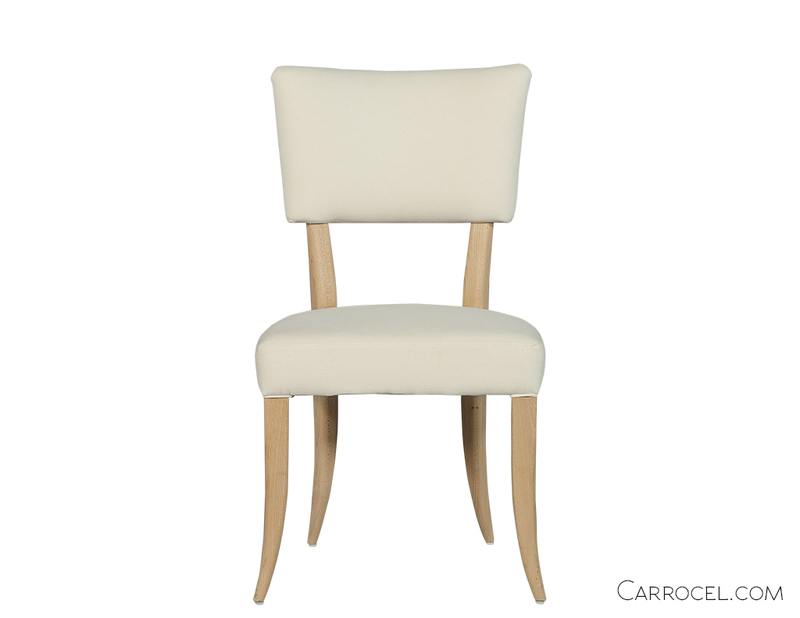 Versatile for both dining and kitchen spaces, this chair is truly transitional. 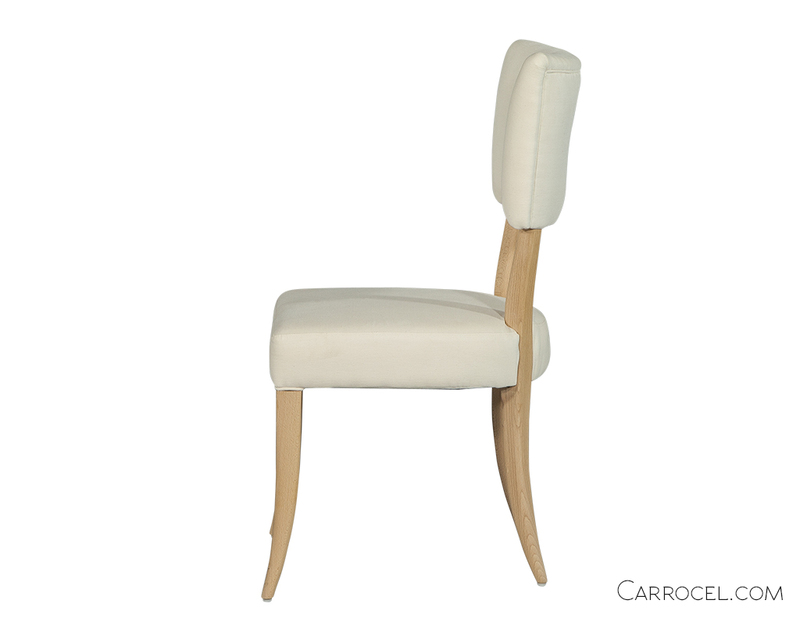 Seat height is 18.5″. This chair can be ordered in custom finishes and fabrics. This is a custom item; please note for custom items pricing excludes fabric.